A keyword is a word or sequence of words that a search engine uses to index web pages when browsers type them into the search bar to locate companies, products or services. Sometimes called organic keywords, these differ from pay-per-click (PPC) keywords in that they’re free. Paid-for results appear under the “Sponsored” headings; organic in the natural listings directly underneath and to the side of these. Typically, tactics for boosting your ranking on search engines will vary between organic and paid keywords strategies. With PPC, costs are constant. You need to keep paying to appear against certain keywords and ultimately outbid your competitors. For organic success, however, it’s all about writing content that will index well and drive revenue-boosting traffic your way. So organic’s important. 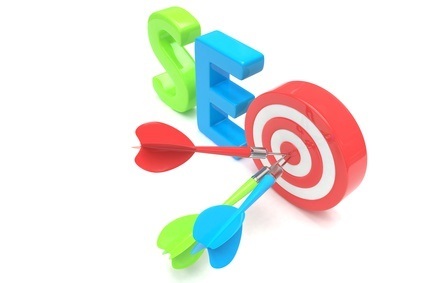 The way to perfect organic listings is on-page search engine optimisation (SEO). This is both the wording on every page of your website and each page’s metadata. The former needs no explaining. The latter is text such as your page titles and page descriptions within your content management system (CMS). 1. URLs: keep your URLs short and keyword rich. The first 3-5 words carry most weight. 2. Titles: title tags are the most important element here. Where possible, start with strong keywords (rather than use them in the middle or end). 3. Multimedia: images, videos and diagrams reduce bounce rate and increase time on site; both of which influence Google ranking factors. 4. Outbound links: links to external related authority sites boost a page’s rank. 5. Keyword-rich first 100 words: fire your biggest guns first to emphasise your page is all about those keywords. 6. H1 tag titles: check that your CMS allocates a headline tag to your main title. This may be automatic. 7. Loading speed: this is another ranking signal so ensure pages are quick to load. If not, get on the case of your website hosts! 8. Long content: as a general guide, aim for 1500 words per web page, particularly when targeting competitive keywords. 9. Social sharing buttons: search engine algorithms like these plus you’ll engage browsers better if they’re prominently displayed. 10. Bounce rate: with high bounce rates, search engines will penalise you. To reduce your bounce rate, write compelling copy, add internal links, create straightforward navigation and invest in a clean website design. Get in touch for SEO support.